Reveal younger and revitalized skin with the Perricone MD Glow on the Go; a comprehensive set combining three of their best-selling No Makeup Skincare essentials with an advanced, anti-aging eye cream. Harnessing the latest in skincare technology, the treatments work in tandem to transform your complexion and leave you with a healthy-looking radiance. Enhance your complexion with this lightweight, semi-matte foundation with SPF 30. Delivering a radiant, buildable coverage, it works to soften the look of imperfections and minimize the look of wrinkles without settling or caking for a natural and healthy-looking finish. A sophisticated blend of DMAE and Neuropeptides seek to deliver long term anti-aging benefits for a toned and lifted appearance. 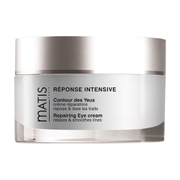 This multi-tasking eye treatment and cream in one is formulated with Olive Polyphenols and four proprietary Neuropeptides to address fine lines, loss of firmness, visible crow’s feet, dryness and dark circles. It is ideal if your skin is dry or sensitive; and gentle enough to be used post-cosmetic procedure. 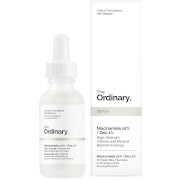 Perfect for layering over any Perricone MD eye treatment for additional hydration. A 2-in-1 lash treatment and mascara that works to lift, lengthen and thicken your eyelashes. Its nourishing, strengthening formula harnesses the powerful effects of neuropeptides and biotin that help to restore and regenerate, creating stronger, fuller lashes, and it has been clinically proven to create longer, thicker, more lifted results. Utilising neuropeptides and moisturising tocotrienols, the lightweight lipgloss expertly targets vertical lines on lips and helps to soften, plump and hydrate for a younger-looking pout. Its universally flattering shade adapts to individual skin chemistry, mimicking the natural colour of the vermilion zone (the area inside the lips). Its sheer, buildable formula glides on effortlessly with unified application of pigments and minerals, and SPF 15 helps protect from damaging UV exposure. Foundation Serum: Shake well before use. 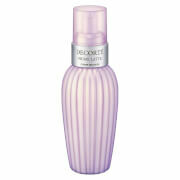 Dispense 3-4 drops into palm and use fingertips to apply evenly over entire face. Can be re-applied as necessary to build desired coverage. Mascara: Place the wide, white side of the brush at the base of lashes to deposit the serum and wiggle to add thickness and volume. Rotate brush and sweep the fine, comb side through lashes to lift, lengthen and separate. Lipgloss: Apply generously and evenly over the lip area. Re-apply throughout the day as desired. Foundation Serum: Cyclopentasiloxane, Dimethicone, Water, Titanium Dioxide CI 77891), PEG-10 Dimethicone, PEG-9 Polydimethylsiloxyethyl Dimethicone, Methyl Trimethicone, Iron Oxides (CI 77491, CI 77492, CI 77499), Acrylates/ Dimethicone Copolymer, Dimethicone/PEG-10/15 Crosspolymer, Sodium Chloride, Silica, PEG/PPG-18/18 Dimethicone, Ethyl Ferulate, Phenoxyethanol, Caprylyl Glycol, Sodium Lactate, Dimethicone/Vinyl Dimethicone Crosspolymer, Phoenix Dactylifera (Date) Fruit Extract, Potassium Sorbate, Disodium EDTA, Thioctic Acid, Triethoxycaprylylsilane, Hexylene Glycol, Ascorbyl Palmitate, Dimethyl MEA, Tocopheryl Acetate, Palmitoyl Oligopeptide, Palmitoyl Tripeptide-5. Eye Cream: Water/Aqua, Caprylic/Capric Triglyceride, Glycerin, Hydrogenated Palm Kernel Glycerides, Bis-Diglyceryl Polyacyladipate-2, Cetyl Alcohol, Glyceryl Stearate, Cetearyl Alcohol, Butylene Glycol, Squalane, Dimethicone, Ethoxydiglycol, Phenoxyethanol, PEG-75 Stearate, Ammonium Acryloyldimethyltaurate/VP Copolymer, Panthenol, Steareth-20, Ectoin, Ceteth-20, Xanthan Gum, Hydrogenated Palm Glycerides, Allantoin, Ethylhexylglycerin, Olea Europaea (Olive) Leaf Extract, Stearyl Glycyrrhetinate, Sodium Hyaluronate, Elaeis Guineensis (Palm) Oil, Olea Europaea (Olive) Fruit Extract, Tocotrienols, Tocopherol, Phosphatidylcholine, N-Hydroxysuccinimide, Acetyl Tetrapeptide-5, Acetyl Octapeptide-3, Hydrolyzed Sericin, Chrysin, Palmitoyl Oligopeptide, Palmitoyl Tetrapeptide-12% (Olea europaea, Organic Olive Juice Extract). Mascara: Water, Iron Oxides (CI 77491, CI 77492, CI 77499), Glyceryl Stearate, Propylene Glycol, PVP, C18-36 Acid Triglyceride, Cetyl Palmitate, Euphorbia Cerifera (Candelilla) Wax, Nylon-12, Stearic Acid, VP/Eicosene Copolymer, Copernicia Cerifera (Carnauba) Wax, Steareth-20, Persea Gratissima (Avocado) Oil, Mica (CI 77019), Steareth-2, Cyclopentasiloxane, Aminomethyl Propanol, Xanthan Gum, Phenoxyethanol, Caprylyl Glycol, Panthenol, Synthetic Fluorphlogopite, Potassium Sorbate, Dimethiconol, Hexylene Glycol, Titanium Dioxide (CI 778891) , Urtica Dioica (Nettle) Extract, Myristoyl Pentapeptide-17, Biotinoyl Tripeptide-1, Biotin, Tocotrienols. Lipgloss: Active Ingredient: Zinc Oxide 3.50% Inactive Ingredients: Simmondsia Chinensis (Jojoba) Seed Oil, Ethylene/Propylene/Styrene Copolymer, C10-30 Cholesterol/Lanosterol Esters, Butylene/Ethylene/Styrene Copolymer, Ethylenediamine/Stearyl Dimer Dilinoleate Copolymer, Vanillin, Synthetic Wax, Tocopheryl Acetate, Argania Spinosa Kernel Oil, Crambe Abyssinica Seed Oil, Iron Oxides ( CI 77491, CI 77492, CI 77499), Titanium Dioxide ( CI 77891), Glyceryl Isostearate, Polyhydroxystearic Acid, Red 7 Lake ( CI 15850), Bisabolol, Red 27 (CI 45410), Isopropyl Titanium Triisostearate, Dimethyl MEA, Tocotrienols, Palmitoyl Oligopeptide, Palmitoyl Tripeptide-5.